Butterfly the shrimps and pat dry with paper towels. Toss shrimp in a bowl with salt, black pepper and a drizzle of oil. Put it in the fridge while you prep the other ingredients. Right before serving, heat up a heavy skillet over medium heat. Sear shrimps on both sides until pink. Transfer to platter. Add oil to same skillet and swirl to evenly coat the bottom. Add the scallions, ginger and chili peppers and toss around until fragrant. Throw in the garlic and soy sauce and continue to toss around the ingredients so they don’t burn. Splash it with some vermouth and put the shrimps back into the mix. Toss around quickly and plate immediately. 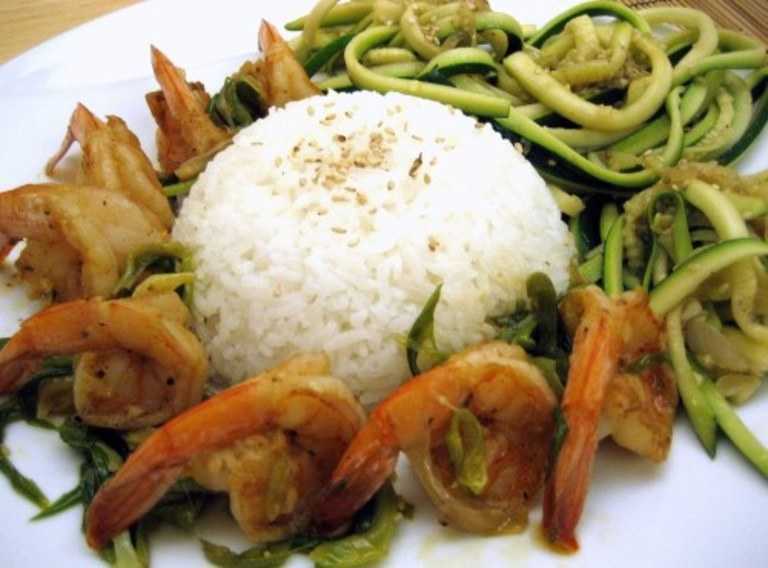 Serve with some steamed white rice and a side of stir-fried zucchini with shallots, garlic and toasted sesame seeds.